Located in the northern part of Central Austin, the charming Rosedale neighborhood offers the community feeling of a small town neighborhood while being ideally situated close to many big city offerings! 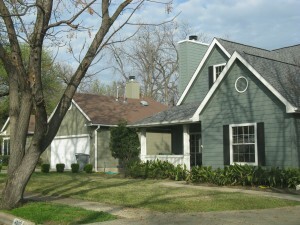 Bounded by 38th Street to the south, Shoal Creek to the west, North Loop / Hancock Drive to the north, and Lamar Boulevard to the east, the neighborhood has over 1200 homes in the area, and includes a wide variety of businesses within easy walking distance. The population is a blend of young families, single professionals, and original owners who are happy to share tales of growing up in this quaint neighborhood. 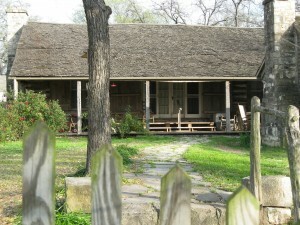 Like many of Austin’s inner city neighborhoods, the Rosedale neighborhood began from farm and dairy land in the 1860’s. 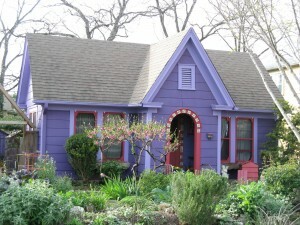 One of the older homes in Austin, dating from 1885, is the Seiders-Peterson home at 1105 West 40th Street. In the 1900s, four florists and nurseries found their home in this area. Much of the nursery stock planted during that time remains and is evidenced by beautiful large trees which line many streets. Another one of most charming historic residences is the Moore-Hacock Cabins at 4811 Sinclair. Built in the 1850s by Irish immigrant, Martin Moore and wife, Elizabeth, the farm and buildings have been restored by the current owners. The majority of the homes in the Rosedale area were built during the 1930s and 1940s, and reflect the designs of bungalows, Tudors and craftsman style architecture . However, the area is dotted with recent construction for those who desire the location while enjoying a larger square footage. The many renovation projects and new construction throughout the neighborhood lend a sense of vitality and renewal and offer a variety of living choices for every taste. Prices of homes range from under $300,000 for a 750 square foot home to over $800,000 for 3,500 square feet of living space. The average home sells in the mid $400,000s and is about 1,700 square feet with three beds and two baths. Beyond the delightful charm of the area, the Rosedale neighborhood’s location makes it one of the most desirable of Austin’s neighborhoods. Residents have close proximity to the Capitol, the downtown area, and the University of Texas, as well as easy access to the main thoroughfares throughout the city. The accommodating schools for the Rosedale area are as follows: Brykerwoods Elementary, O’Henry Middle School, Austin High School, Highland Park Elementary, Lamar Middle School, and McCallum High School. The extensive network of medical services close at hand include Seton Hospital and the Austin Heart Hospital, and are adjacent to numerous business centers including the highly popular Central Park with Central Market and loads of other neighborhood friendly businesses. 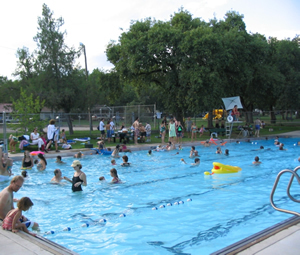 Ramsey Park, with its swimming pool, tennis courts, playgrounds, and picnic areas, is located in the heart of the neighborhood and is, indeed, the central playground for the area. With the annual 4th of July Parade and Carnival, Christmas caroling, Halloween parties and Night Swims at the pool, you’ll find something to love everywhere you look!